Newly released figures show that in 2016 Red Bull provided 53.2% of Toro Rosso's, total revenue. According to Forbes, the financial statements reveal that in 2016 Red Bull paid Toro Rosso $83.3m (£65.3m) in a year in which the Faenza outfit spent $153.5m (£120.4m). After a $1.5m (£1.1m) tax bill the Italian team was left with a net profit of $1.9m (£1.4m). Now, before you start pointing to the fact that the figures relate to 2016, it should be remembered that these figures will largely relate to the building and development of the 2017 car. 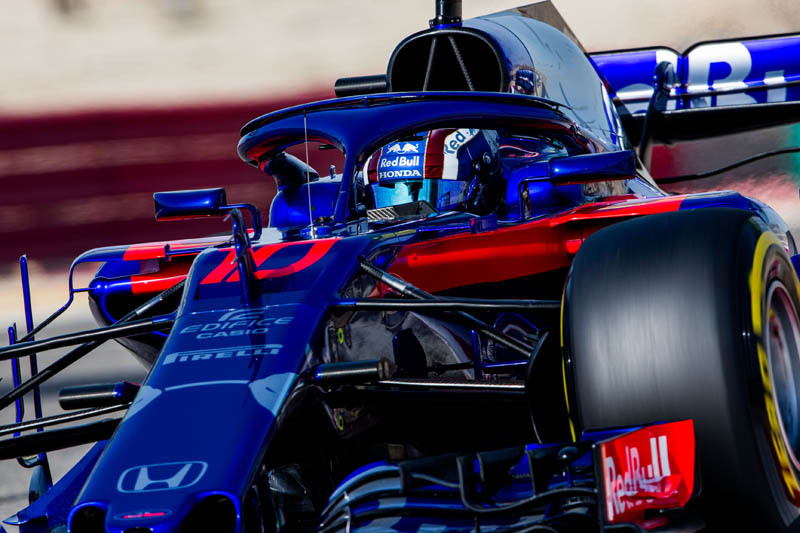 With that in mind, with Red Bull switching to Honda power in 2019, one shudders to think how much the energy drink giant will be pumping into Toro Rosso this year as the Faenza outfit is used as the main team's guinea pig. By comparison, while Red Bull was funding Toro Rosso to the tune of $83.3m, the main team received $107.1m (£84m), around 28.5% more. While Red Bull finished the 2017 season in third place with 368 points, Toro Rosso was sixth with 53 points. To put things in perspective, Haas has an annual budget of around $120.9m (£94.9m). Having bought Minardi in late 2005, Red Bull has operated Toro Rosso as its development team mainly in terms of it drivers, a number of whom have successfully moved up to the main team. Having initially co-owned the team with Gerhard Berger, Red Bull took full control of the Faenza outfit in late 2008. Three years later the team was put up for sale but subsequently withdrawn when no serious offers were forthcoming. Other than its role as a test bed for drivers, and currently the Honda engine, only Red Bull will know if it is getting ample reward on its sizeable investment, after all $83.3m is a lot of money to spend on seeing if a rising star is good enough for your big team. Furthermore, with Red Bull winning races and battling with Mercedes and Ferrari for the title, the Austrian outfit is surely giving a better return on investment in terms of publicity and branding than its little sister. More worrying however, is what happens as the sport moves forward under its new owners. Currently, courtesy of a bonus agreed with the sport's previous management, Red Bull receives around $37.7m (£29.6m) each year before a wheel has turned. With such bonuses likely to be scrapped and prize money more evenly distributed this will not only impact Red Bull but may cause its parent company to seriously reconsider its need for two teams. A situation not helped by the fact that Toro Rosso is currently eighth in the standings and under pressure from an ever-improving Sauber. A major hit in terms of prize money - after all, Red Bull-Honda may not hit the ground running next season - not to mention the loss of its current bonus could well see Dietrich Mateschitz giving serious reconsideration to F1 post-2020.